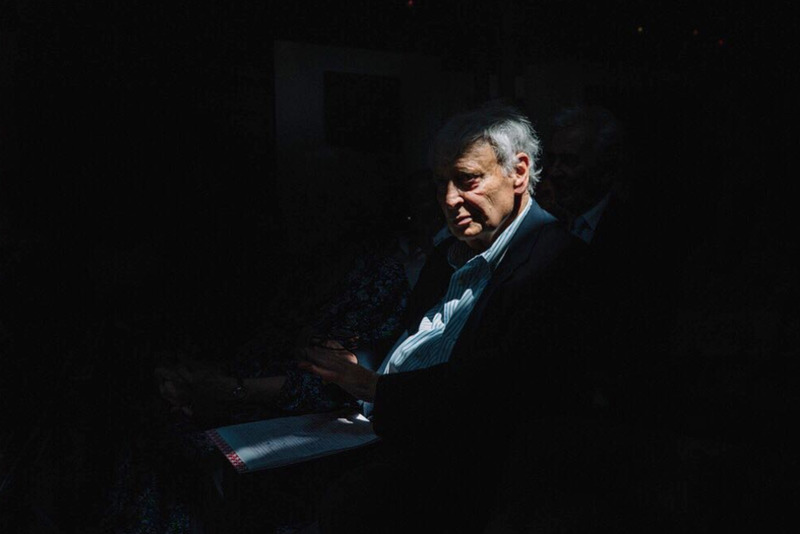 (Photo: Connie Tsang // Overcome the Passive I: the Jewish Culture Festival, Kraków. Historically, the Jewish people have struggled through the centuries, suffering through an extended period of condemnation, crusades, and invasions, culminating in one of the worst human atrocities inflicted by Nazi Germany in Poland, during WWII. Since then, long after the war, being a Jew in Poland was still considered taboo, with survivors often concealing their religious and cultural identity, even from their own children. In 1990, community members launched a festival of Jewish pride in Kraków; from this as a launching point, and with a fierce determination to tap into lost pride, the Polish Jews were finally granted social permission to take back the identity they'd hidden for so long. Now, the festival with small beginnings has turned into a huge international event in Kraków, drawing tens of thousands of visitors in Kazimierz, the old Jewish quarter of the city, to celebrate the culture and diaspora through workshops, discussions, tours, dance, food, and contemporary music, building community, instilling self-dignity, and never forgetting the historical significance of this land and its people 70 years ago. This is Overcome the Passive, my document of the Jewish Culture Festival. Overcome the Passive II: the Jewish Culture Festival, Kraków. 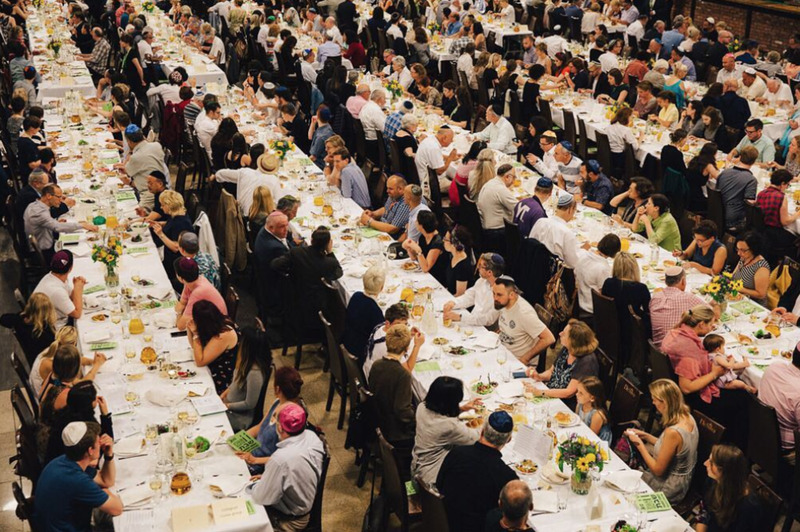 Close to 1,000 observers congregate for a traditional Friday night festive dinner and Shabbat blessings. Overcome the Passive III: the Jewish Culture Festival, Kraków. American Jews visit Kraków in great numbers to explore their cultural history. Almost 6 million live in the United States alone -- though this statistic sometimes varies, given not everyone practises or completely identifies with the faith, the USA ranks as the largest population outside of (and even fairly equivalent to that in) Israel. Overcome the Passive IV: the Jewish Culture Festival, Kraków. A drink and smoke break in a popular music venue near the Jewish Quarter's main square. Overcome the Passive V: The Jewish Culture Festival, Kraków. Backstage with actress Mary Berchard, at the premiere of "We Keep Coming Back", a theatre production about a bickering mother and son from Canada, who return to their ancestral country in search of their lost Polish and Jewish identities. Overcome the Passive VI: the Jewish Culture Festival in Kraków. Klezmer music instructor Deborah Strauss takes her class into the hallway for an impromptu dance break. Overcome the Passive VII: the Jewish Culture Festival, Kraków. At a medal ceremony honouring the Righteous of the Nations, an official title coined by the state of Israel, bestowed upon all non-Jews who risked their lives to save Jews from being captured and exterminated during the Holocaust. Overcome the Passive VIII: the Jewish Culture Festival, Kraków. 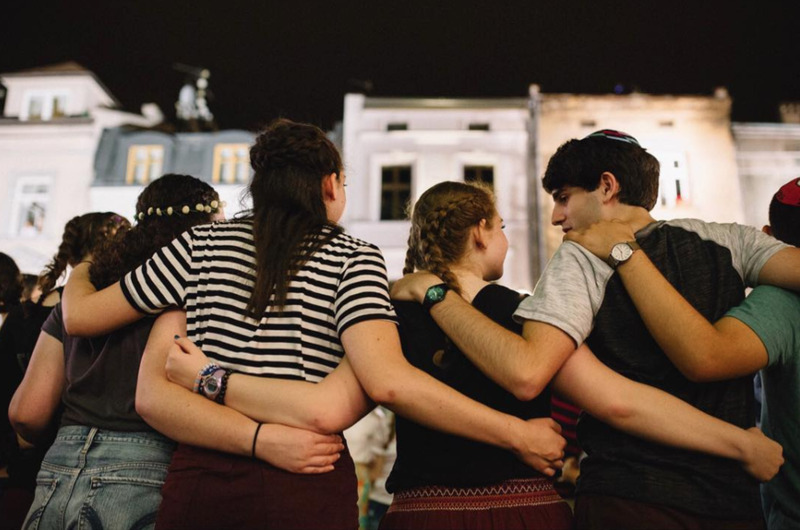 A group of visiting teenagers embrace on the open streets of Kraków; international youth make the annual pilgrimage as part of local faith and culture programs, mainly based in the USA, to attain a deeper meaning of their history and what it is to be a Jew. Overcome the Passive IX: the Jewish Culture Festival, Kraków. 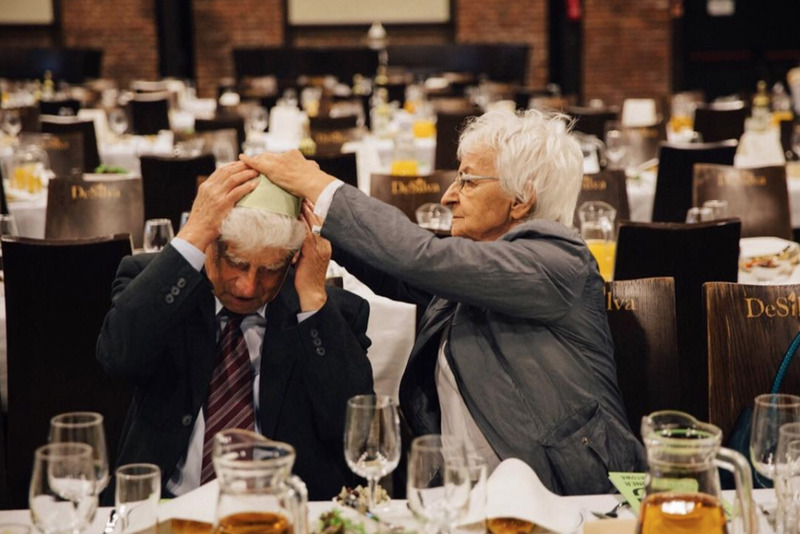 A woman helps adjust her husband's kippah before the traditional Shabbat dinner.